Clothing sketches modeled after Alfred Jacob Miller’s artwork. 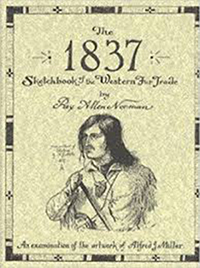 Alfred Jacob Miller was the only artist to document the Fur Trade area. Many of his sketches and paintings portray the famous rendezvous. This entry was posted on November 24, 2017 by mmmuseum.